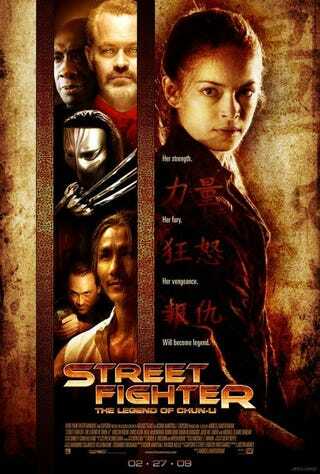 The Street Fighter movie poster we've seen so far? Bit rubbish. This is the "international" version. Does the addition of some hot Vega claw = improvement? Other changes: gone is the confusing montage-on-white motif of the US poster, replaced by one that looks more like the poster to a movie about martial arts. Also helps that the international design doesn't make it look like an ad for The Transporter.